Kalmar, part of Cargotec, has won an order to provide Kalmar Fleet Solution of mobile equipment to Australian Container Freight Services (ACFS) operations in Adelaide, Fremantle and Melbourne. 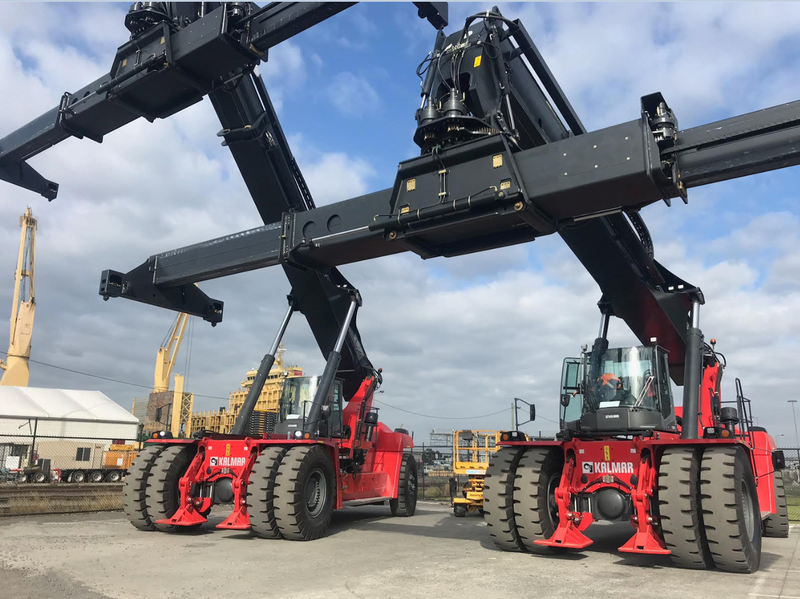 This order, comprising a total of 3 units of DCG100 Empty Container Handlers and 2 units of DRG450- Reachstackers, has been booked into Cargotec 2018 Q2 order intake. ACFS is the largest privately owned Container Logistics operator in Australia. With extensive knowledge and experience across the warehousing, transport and freight logistic sectors. ACFS facilities are strategically located close to port locations nationally, as they are fully committed to provide a "full port to customer door" container freight logistic service throughout the nation. The Kalmar Fleet Solution allows customers to purchase a rental fleet from Kalmar which ensures that cargo is moved efficiently, with minimal downtime as the fleet is maintained in accordance to our high service standards. With the fixed monthly maintenance charge, customers can enjoy predictable services from operations to accounting by Kalmar. This is a revolutionary customer focused approach introduced by Kalmar, to offer our customers the convenience for Kalmar to manage their operating equipment fleet, whilst they focus on their core business. ACFS began discussing their needs with Kalmar roughly 12 months ago. In order to better understand the customer needs, Kalmar reviewed some of ACFS' operations and offered several suggestions to improve efficiencies and safety on the site. Such suggestions included introducing a greater lift capacity over the second rail line and elevated cabin heights for the DCG Empty Container Handler, to improve the operator visibility which assists on improving safety in the work environment. "With the Fleet Solution that Kalmar provides, we do not have to worry about breakdown and downtime as they are well covered by Kalmar in their fully maintained rental solution. This allows us to focus on our core business to deliver best class container freight logistics to our customers," says Tim Holmes, General Manager of ACFS. "Kalmar Equipment Australia has a strong sales network throughout Australia and the Pacific. One of the keys to us securing this order is our commitment to offer shorter delivery time to the standard in this market," says Michael Wahab, Director of Kalmar Australia Mobile Equipment Business. "We strive to understand and offer what the customer truly wants at the end of the day. In choosing Kalmar Fleet Solution, which is fully maintained by Kalmar, we have eased past problems customers had in owning something that they did have input to build, which is equipment tailor made to their business needs."